In an unprecedentent turn of events and for the first time since the reestablishment of the Nation of Israel in 1948, the Russian Airforce is now conducting its air war in Syria a very short distance from Israeli airspace in the name of Syria's Bashar al-Assad. Ever since Russian jets began attacking Sunni insurgents; the Israeli Airforce has been put on high alert because part of the Russian airforce is now operating very close to the Israeli borders near the Golan Heights; something that was not even seen nor heard of during the days of the Soviet Union nor during the height of the Cold War !!! As students of Bible Prophecy you and I know that this is just a prelude of what is coming; Russia is there to stay until the Prophecies of Ezekiel come to pass ! The Syrian civil war is now in its fifth year and somehow this student of Bible Prophecy knows that Russia's entrance into it most definitely is "NOT" going to be able to end it this year or the next because this civil war is 'widening even more' and is pulling in even more : foreign Jihadists, terrorists, regional powers and even the world's superpowers via the entrance of Russian and American special operation troops !!! 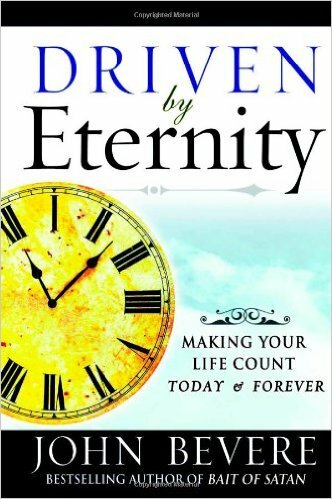 Whether you are one who believes that the Prophecy of Isaiah 17 was fulfilled in 732 B.C. when Damascus was pummeled by the Assyrians or that it is a prophecy that is yet to be completely fulfilled; the reality of it all is that 'when and if ' this civil war ends Syria will never be the same; for the entire nations' infrastructure is being destroyed 'little by little' and made into that of a 'ruinous heap' by Syria's five-front war and the ineptness of the UN and the Arab League. As millions of Syrians are being displaced into neighboring countries more and more nations are being pulled into this conflict at least diplomatically because of the influx of Syrian refugees that are at their borders !!! For his part Russia's Putin knows fully well what he's getting into, he knows the Soviet history in Afghanistan and Putin somewhat successfully squashed the Islamic Chechen separatists in the past; Putin knows fully well what the introduction of his Russian military in the Middle East means and this time I don't think that he will allow Russia to get stuck in a quagmire engineered by Islamic insurgents !!! 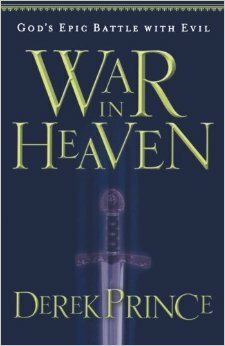 Somehow this student of Bible Prophecy knows that Putin is "NOT" interested in waging a 'politically correct war' against the Sunni Insurgents; and "YES" Putin has already considered all the 'Islamic blowback' against Russian targets but that's part of the price of going to war and of ultimate conquest ! When Putin involved himself militarily in the Ukraine; NATO started getting nervous, "BUT" now that Putin has decided to make an even bolder military move into the Middle East via Syria you better believe that NATO and all its' intelligence apparatus are 'sweating bullets' & working overtime !!! For the first time in 25 years Moscow has now involved itself directly militarily in a Islamic country. In 1989, Soviet troops were withdrawn from Afghanistan; if you didn't know Afghanistan was like the Soviet Union's 'Vietnam War.' Although it is "NO" secret that for many years now Russia has been supplying Iran with 'nuclear materials and experts' it never had ground troops there. Russia's Vladimir Putin stated years ago that the greatest tragedy in this century was the 'dissolution of the former Soviet Union' to top political and military analysts it is also "NO" secret of what Mr. Putin ultimately wants; Putin is seeking to unify the former USSR states; that's one of the reasons why he hasn't backed down in the Ukraine and why he has now involved Russian troops in Syria to aid Assad !!! Putin perceives a weak U.S and NATO and if you haven't noticed he keeps reasserting himself further and further beyond Moscow and the Russian borders. It is "NO" secret to students of geopolitics why Putin is in Syria; he sure isn't there just to merely help out his fellow buddy Assad and his authoritarian regime; nor because of a UN mandate nor because of humanitarian reasons; Putin's chief goal in Syria is to gain control of Western Syria and control Raqqa and all the oil and gas resources around Palmyra "BUT" first his Russian military machine must first : cleanse the region of insurgents !!! Assad doesn't mind Russia's help for his number one concern is 'political survival' at all costs even if it means letting the Russian's in on the "Oil Resources" of the country !!! If you didn't know Putin 'unofficially' is one of the world's richest leader at $ 200+ billion; top global financial experts suspect that he has hidden over $200 billion+ in hidden accounts all over the world; just like other dictators did in the past and it is "NO" secret that Mr. Putin according to Forbes magazine is in fact the 'New Shah of Global Oil' !!! Putin is without a doubt being pulled into the Middle East by that old and ancient : "Spirit of Greed." Even though Russia is the top exporter of natural gas into Europe and Russian Oil Pipes criss-cross numerous countries he wants to have more of a monopoly and he really doesn't care what the West thinks; the truth is that Putin knows what he is doing and he wants "REVENGE" for the economic blockade imposed on Russia because of the Ukraine conflict, the Russian economy and Ruble have suffered greatly and 'me thinks' Putin wants to turn the tables on the West for what they did to the Russian economy; for Putin is "NOT" one who quites easily forgives and forgets !!! What is dangerously unique about Russia's Vladimir Putin is that Putin almost single-handedly created the largest Russian Oil Company ( Rosneft ) which of course is state owned after he took over 'Yukos Oil' and talk about a 'conflict of interest' ( it is "NO" secret that Putin is directly economically benefitting from all the Russian Oil sales*) Putin has the largest stockpile of nuclear weapons in the world to further his thirst for oil around the world. It is "NO" secret how Putin paid an estimated record breaking $50 billion for the 'Sochi 2014 Winter Olympics' with the Russian Oil Money !!! To this student of Bible Prophecy Mr. Putin is like the CEO of Exxon but with over 6+ thousand nuclear missiles & one of the largest Naval & Airforces in the world to back his ambitions ! In the USA, Oil Companies have to lobby hard ( with millions of dollars*) to make the executive branch listen to their needs; "BUT" in Russia, Putin doesn't have that problem because he has a very big stake 'unofficially' in Russia's state owned Oil Companies !!! Mr. Putin is not just a clever 'political animal' he is also a very astute businessman; he's not the kind of world leader that let's Oil Company Executives make a hundred times more money than himself; at least under his watch !!! EUinProphecy.com and this student of Bible Prophecy are teaching and interpreting that the 4 Horsemen of the Apocalypse are really the product of a coming World War III !!! ( the 4 Horsemen of the Apocalypse will cause more death and destruction than what took place in World War I and WW II combined !!! ) We are interpreting the Prophecies of Ezekiel 38-39, as part of it all; WW III should "NOT" be confused with the final 'Battle of Armageddon' that will happen some 9+ to 8+ years later, we have checked the chronology of all these prophesied coming wars and this makes sense. It is fair to say that Russia's Putin is here to stay for at least another 10 years, although he is one of the oldest world leaders he is also one of the healthiest of all the world leaders and unlike his predecessor 'Boris Yeltsin' Putin is "NO" drunk; Putin is in my personal opinion one of the most highly ambitious world leaders; only the upcoming EU 'Little Horn' will be even more ambitious because according to Revelation 6 the coming 'Little Horn' rises with a 'Spirit of Conquest' like a : Napoleon, Alexander the Great and most recently Adolph Hitler and his blitzkrieg !!! Putin smells 'fear and weakness' coming from the West and just like Hitler he is taking advantage while he can !!! 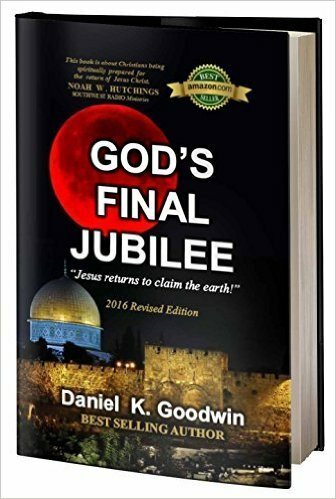 If you are a student of Bible Prophecy you are very well acquainted with the Prophecy of Isaiah 17, most teachers of Bible Prophecy believe that the destruction of Damascus as described and Prophesied in Isaiah 17 has never been fulfilled because Damascus is one of the oldest cities on planet Earth still in existence therefore it is impossible that Isaiah 17 was fulfilled in the past !!! The Syrian Civil War is now 5 years old and there seems "NO" end in sight, the truth is that it is getting bigger especially since the Russian Military have now physically gotten involved and since the U.S. has confirmed that it too will be sending ground troops too !!! Syria will "NEVER" recuperate from this civil war because much of the Syrian economy and infrastructured has suffered great damage, even if the civil war was to end all signs point that much of Syria will be divided into several regions once all the bullets stop. There is "NO" question that the 4 Horsemen of the Apocalypse arrive in a world beset by nuclear war !!! 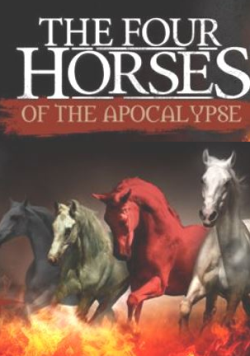 According to the Prophecy of Revelation 25% of the world's population dies during this upcoming period and as a student of WW I and WW II, there is "NO" question nor doubt in my mind that the 4 Horsemen ride and appear on the world scene amidst a world suffering the 'after math' of nuclear war !!! According to the Biblical Prophecies Russia will be "SEVERELY" defeated in the future when it advances against Israel; thee HOLY GOD of ISRAEL whom I serve has promised to embarrass Russia's future military attack upon Israel !!! What should concern every believer is that "NOW" for the first time in decades Moscow "NOW" has : Warships, Submarines and ground troops a short distance from Israel !!! 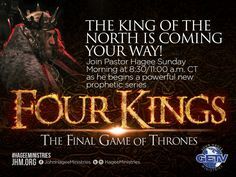 As students of Bible Prophecy neither you nor me are in the dark, Bible Prophecy "GUARANTEES" that in the end when the U.S. and Russia go "DOWN" the 10 King's of Revelation and their Beast with 10 Horns are "Rising Up" from that specific and particuliar region of the world to fill the void that will be left by the fall of both Russia and the U.S.A. The day is coming when the entire Mediterranean will once again become the 'Mare Nostrum' the day is coming when "NO" Russian warships nor submarines will be allowed in the Mediterranean Sea; Bible Prophecy "GUARANTEES" the coming rise of someone even more sinister and ambitious than Russia's Putin and even more cruel than ISIS !!! Ladies and Gentlemen for the first time in decades the Middle East conflict is drawing in "ALL" the major military world powers; Russia is sending its warships and nuclear submarines there, the U.S. is also sending additional Naval presence and the European Union is about to get a taste of an 'Islamic Intifada' with all the Muslims they let in it's "ALL" a like a 'powder keg' waiting to explode and explode it will for Bible Prophecy clearly "WARNS" us that things will go from bad to worse !!! The end is "NOT" yet, I state this because there are some 'believe it or not' that are teaching that we are already in the Tribulation period; what concerns this student of Bible Prophecy is that for the first time in decades we are now witnessing 3 of the world's major superpowers getting directly involved not only in Syria but in the Middle East conflict, Russia, the U.S. and the European Union via NATO are being pulled into the region whether they like it or not and for different reasons; the Europeans know that if they don't do their part to 'fix or salvage the region' millions of more Muslims will be heading to the EU, Russia for its part is there for several other reasons and the U.S. is there to try to stem the rise of militant Islamic groups who could very well take over the vast 'oil fields' of the region if it did nothing and significantly affect the prices of gasoline and in the process jolt the entire American economy !!! By : Mario Romano, this student of Bible Prophecy and servant of JESUS CHRIST believes in the 'Rapture' before the 7 year Tribulation and he is "AMAZED" that GOD ALMIGHTY is allowing this His servant to be teaching and interpreting the Prophecies of His true Prophets found in the Holy Scriptures !!! Mario is a student of : Integration Theory, Sociological Theory, Political Theory and Military Theory* This servant of GOD ALMIGHTY knows that "ALL" human institutions are 'flawed and corrupt' because they are run by men and all men have sinned and fallen short of the Glory of GOD Almighty !! !